North Huron Council has given direction to staff to cut the current budget increase of nearly 20 per cent in half before the next round of budget reviews. 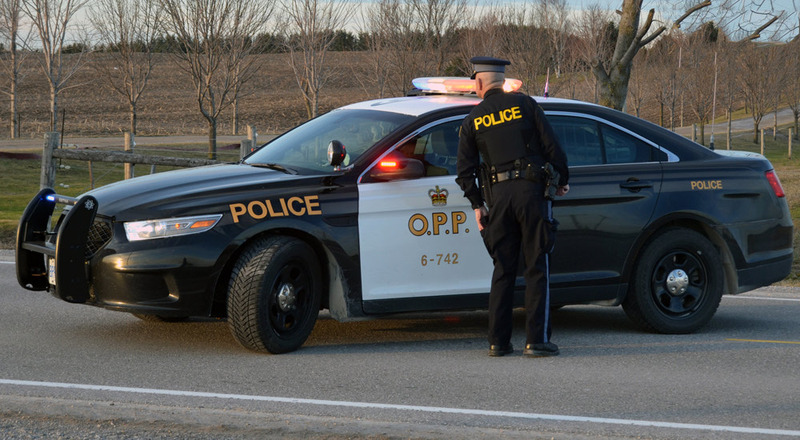 In a special budget meeting on Jan. 23, council was told that the cost of the switchover from the Wingham Police Service to the Ontario Provincial Police (OPP) would result in at least a six per cent increase to the budget. Council agreed that, given that information, it would be ideal to cut the increase to between eight and 10 per cent before the next round of budget meetings. The budget presented that night included a 19.69 per cent over the 2018 budget, which was already significantly higher than previous years due to costs related to the police switchover. Reeve Bernie Bailey requested that Director of Finance Donna White provide council with a breakdown of the last several budgets to illustrate the hurdle council needed to overcome. In 2017, for example, there was a 3.61 per cent increase in the budget, or approximately $170,000. In 2018, due to policing costs, there was a 13.03 per cent increase, or $637,000 more. The 19.69 per cent increase in the first draft of the budget would result in a budget increase of just over $1 million. White explained that each percentage increase represented $55,287. Bailey explained that this was a difficult situation for council because costs associated with running the municipality, such as wages, insurance, healthcare and utilities, can’t be cut. Councillor Chris Palmer said the current draft was unacceptable, and that it needed to be cut significantly before it would be approved. Council discussed transfers to reserves, with Palmer saying that those numbers should likely be changed before they are codified as part of the final budget. Deputy-Reeve Trevor Seip warned against that, however, saying that council may not be aware of what they were earmarked to fund. He wanted to see all the transfers to reserve in one place, instead of within specific budgets, and know why those funds were being transferred to reserve. He said that would allow council to defend decisions to the public. Palmer agreed, saying it would be better for ratepayers to see how much is being saved and why, saying it wouldn’t be seen as an expense then, but as an investment. Bailey said he would like to see the recreation master plan, an initiative that would have been completed in 2018, put on the back burner. Due to the departure of former Director of Recreation and Facilities Pat Newson last year, the recreation master plan was delayed. It planned to have been completed by a consultant, with $50,000 was budgeted for the entirety of the project. Director of Recreation and Community Services Vicky Luttenberger said that the funds were in reserves, so it wouldn’t impact taxation or the overall budget, however Bailey pointed out that other municipalities hadn’t found favourable experiences with such studies. He pointed to Bluewater, which undertook a similar study and the result was a suggestion to decommission the Bayfield arena, a move that has been met with stiff resistance from residents. “I guarantee if we do the same, we will be told to decommission the Belgrave arena,” he said, adding that such a move would likely be met with the same resistance in North Huron. The Knights of Columbus Hall, part of the North Huron Wescast Community Complex was also discussed at length, with the problem being the exclusivity that the organization has over the space. It was explained that, originally, the Knights of Columbus were to donate a certain amount to the debt accrued by the municipality in building the centre. The closure of the nearby Wescast facility, however, resulted in the Knights not being able to donate as much towards the debt. Now, North Huron has paid off the facility, and council members felt that the amount being paid wasn’t worth the exclusivity afforded to the organization. Council members suggested that the municipality shouldn’t have any expenses from the hall if a group has exclusive use and management of it, and that the cost should be pay-based. The Blyth and District Community Centre was also a hot topic, which was highlighted by Central Huron Council’s unwillingness to contribute to the site. Council discussed the issue, but Seip said that Central Huron wasn’t likely to reverse course on the decision. Seip did say, however, that Central Huron Council had expressed interest in helping with infrastructure that would benefit developments like Blyth Cowbell Brewing Company, Tim Horton’s and Ultramar gas bar at the south end of Blyth. Those businesses, which are located in Central Huron, don’t provide taxes to North Huron. Bailey said that this discussion was part of a bigger issue. He explained he had plans to review co-ordinated spending and shared services with neighbouring municipalities. He said that, once the council was aware of “where they stood” with their neighbours, they could pursue other projects. Palmer, however, said that Central Huron needed to look at providing funding for its northernmost families. “Clinton is a long way for families from just south of Blyth to travel to an arena,” he said. The upper hall at the Blyth and District Community Centre was another contentious issue. Seip started the discussion, saying that in his time on council, the site had resulted in a perpetual loss for the municipality. He said that something needed to be done to result in a better return. Bailey agreed, saying that the centre brought in $10,000 in profit, but cost $20,000 in labour. Councillor Kevin Falconer informed council that some of that staff time was likely due to repeated leaks that had happened in the space. He explained that, unless council wanted to approve replacing the floor, the work was absolutely necessary until the roof could be fixed permanently. Council directed staff to look into the status of the roof.